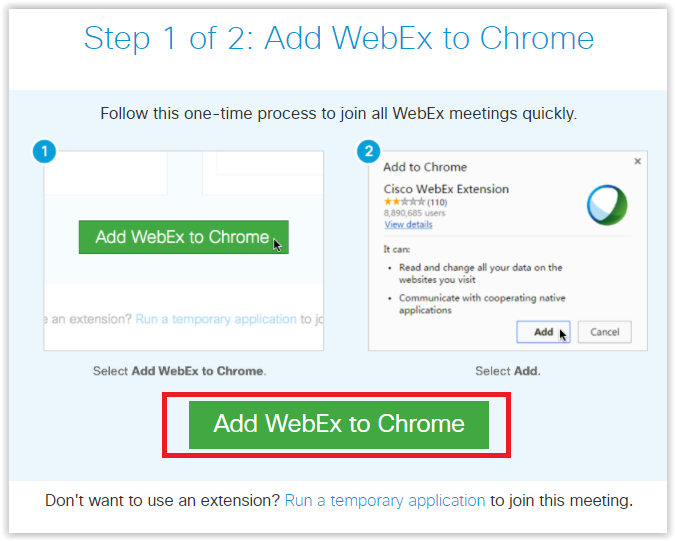 WebEx now allows users to join using only their browser thus not requiring the extension. However both methods (in-browser or browser extension) are viable. 1. Open the Google Chrome browser and enter "lsu.webex.com" into the address bar . 2. Click the "Log In" button, and use your PAWS ID and password as your login credentials. 3. Click on My WebEx tab in the control bar of the webpage. 4. Click the green Start Meeting button in the middle of the page. 5. 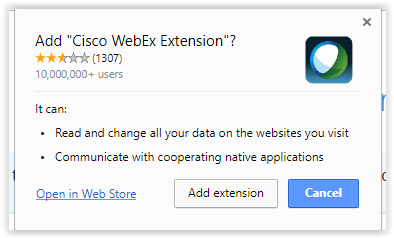 Click the green Add WebEx to Chrome button on the next window. 7. 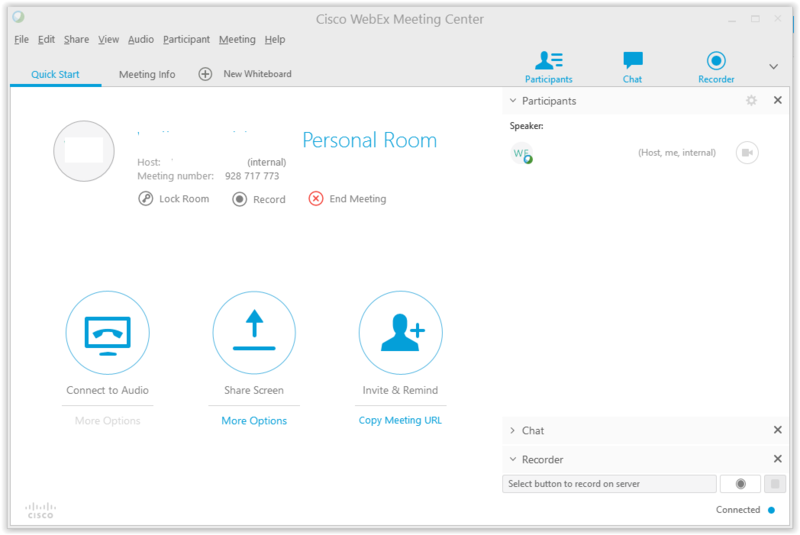 After clicking Add extension, the extension will load and a new WebEx meeting window will appear on the screen.